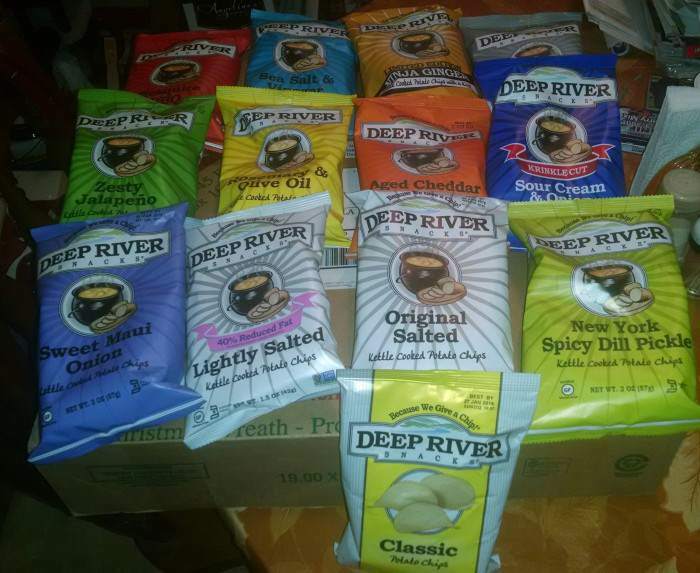 Deep River Snacks – The high quality snack brand that “Gives a Chip” is more than just a bag of chips… they pride themselves on doing right in everything they do. All snacks are non-GMO, made in a nut-free facility and contain no artificial dyes, flavors or preservatives. And each bag uses its packaging real estate to raise awareness for a specific charity! This holiday season, Deep River Snacks is offering four special edition snack packs that make the perfect gift or stocking stuffer: Chips & Charity Snack Pack. 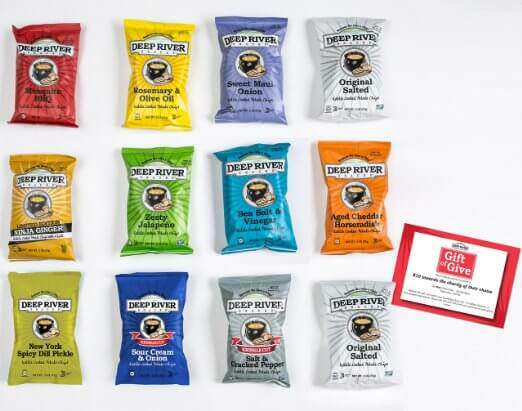 A delicious assortment of Deep River Snacks kettle chips, plus a $10 charity gift certificate that the recipient can use to make a donation to their favorite non-profit. 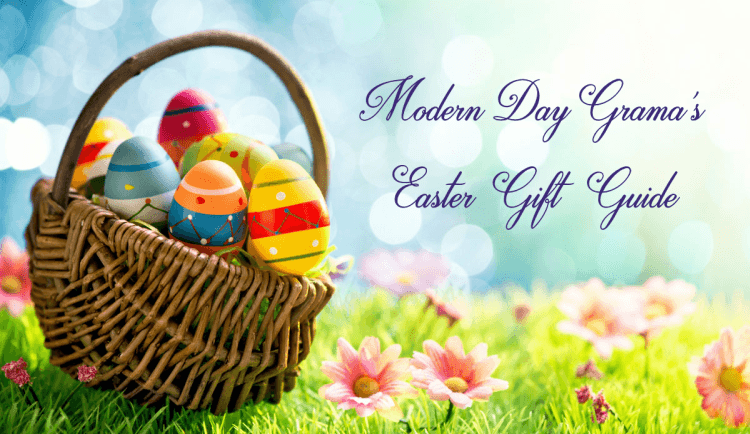 Gift certificate redeemable on justgive.org allows recipient to choose from over 2 million charities! Each bag features a great charity partner! Supporting Charity — This bag features the Crohn’s & Colitis Foundation of America! 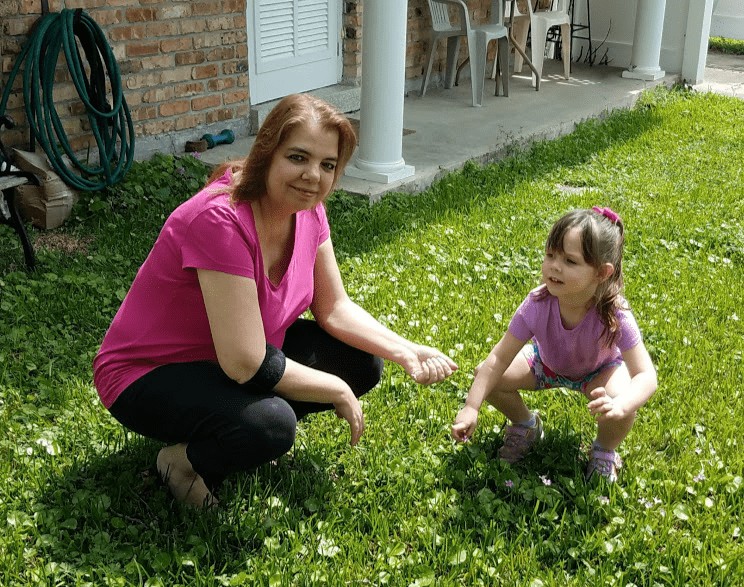 The CCFA helps those with IBD by providing education and awareness about the diseases and raising funds for research. I received 13 bags of these awesome chips to review. Salt and Pepper chips were very good, didn’t taste a lot of salt, but the pepper definitely peeked its head! 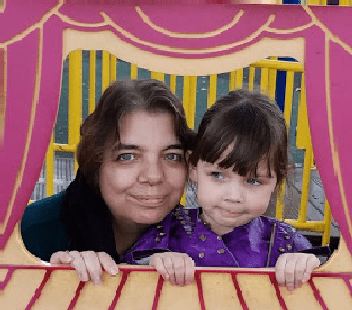 My daughter tried the Sour Cream and Onion and loved them! Not her favorite flavor, but she enjoyed it this time! Each chip is crunchy and the thickness is just enough to let you know you didn’t buy a bag of Lays. Deep River Snacks are NOT greasy chips. Depending on the flavor they are just mildly seasoned and not coated in a heavy grease or oil. Each flavor stands completely on its own. None of the flavors are overpowering except maybe the Jalapeno flavor which is honestly I haven’t tried yet, but from experience, it may be too hot. Overall:These are great tasting, unique flavored chips that are hands down better than the ones you can get in bulk at a Sams or Costco. Do yourself a favor and try a bag or two. I bet you’ll love em like we did. These are perfect for a stocking stuffer, anytime snack, and work or school lunch bag. Click the image below to check out other featured gifts in our gift guide for 2015.